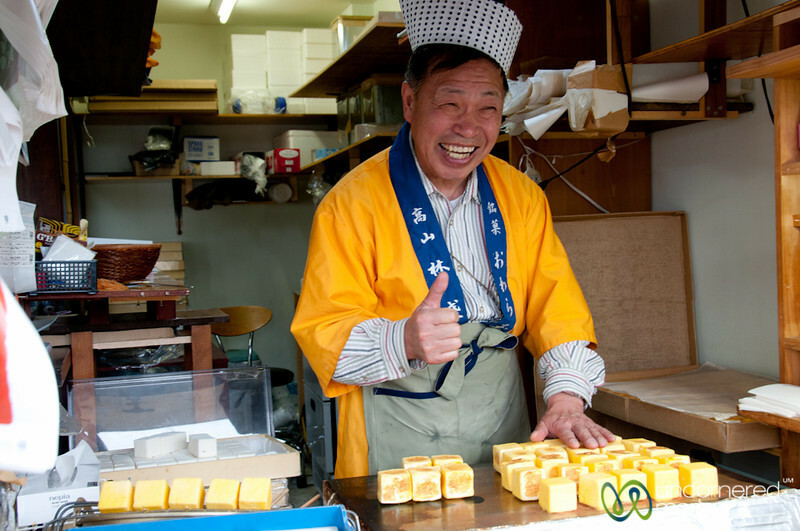 This friendly vendor explained his sweets as grilled Japanese marshmallows. Didn't buy any, but his smile was great. Takayama, Japan.